LIVE OUT LOUD -For those of us who need to be reminded to live life to the fullest - this touch bracelet would be perfect. 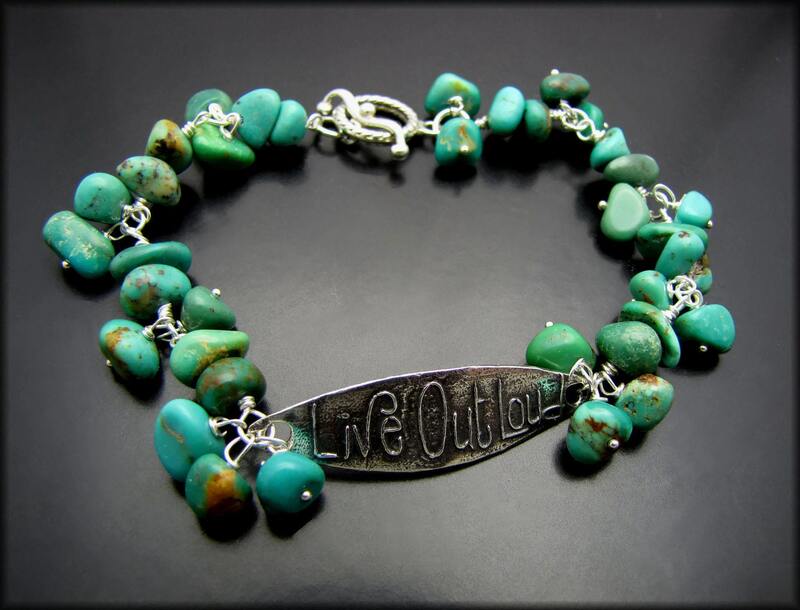 The bracelet features rare Hubei Turquoise nuggets wire wrapped together and framing a handmade 'Live Out Loud' fine silver plaque. The length can be adjusted upon request and fastens with a fancy sterling silver toggle clasp.